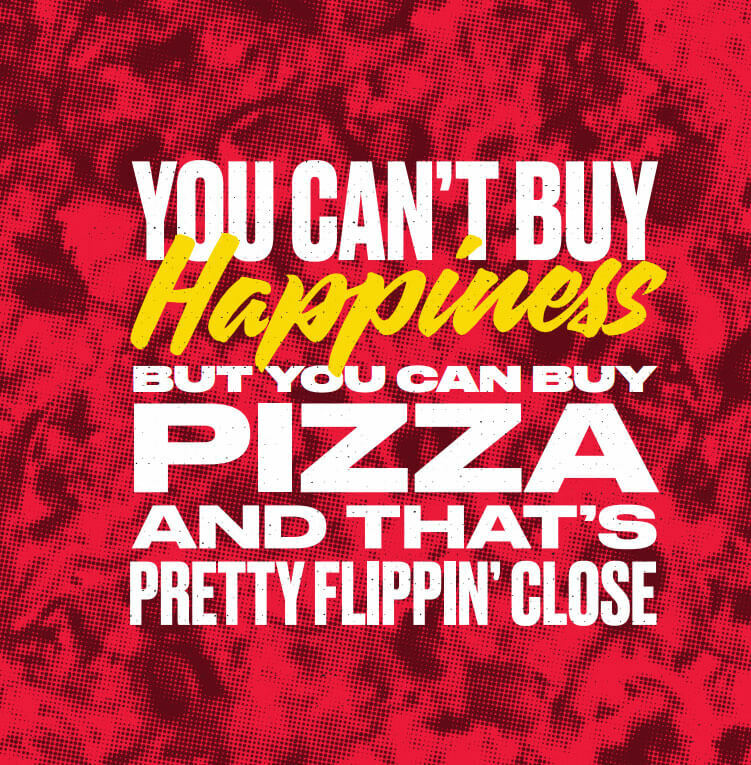 At Flippin’ Pizza NY Pies & Slices, we believe great pizza is more than a box at the door, it’s about bringing people together one legendary slice of pizza at a time. We’re proud to be a slice of the communities we serve. Why? We love people and we love pizza--New York-style pizza to be exact. Not deep dish, not super artisanal, just your honest, old school, “I’m-from-Brooklyn-and-you’re-not” pizza. Much like our Brooklyn roots, we dig authenticity and are all about realness, from our special New York-style filtered water (which makes for the best dough around) to a healthy dose of that New York attitude. Whether it’s a quick meal for one, a feast for the family, or a fundraiser for the community, we are here to serve up a big slice of happiness. Every time.